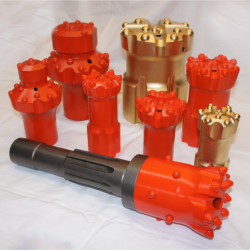 Spartan Tool Company, Inc. was established in 1986 to manufacture carbide tipped rock drill bits for the local granite industry. After achieving great success locally, the company expanded to the production of dimension stone tools, and began distributing products to other areas of the country. Today, Spartan Tool Company, Inc. is one of the nation's a leading manufacturers of construction and stone industry tools. Spartan Tool Company, Inc. uses modern machinery and fabrication equipment to manufacture the best line of products, including drill bits, carbide tipped stone working tools and other support products for the dimension stone industry in America.